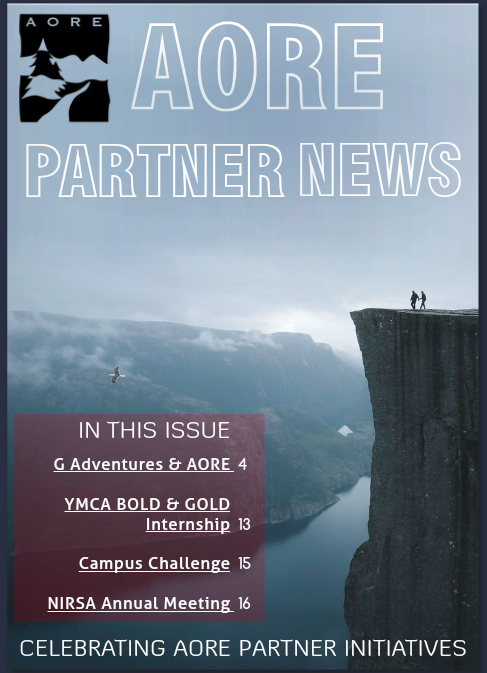 The AORE Partner Newsletter aims to provide AORE members with news about many other organizations that are making a difference in the outdoor recreation and education industry while working toward their respective missions. Click on an issue above to view its contents. Interested in sharing a story for the Partner Newsletter? Email NationalOffice@aore.org for more information.